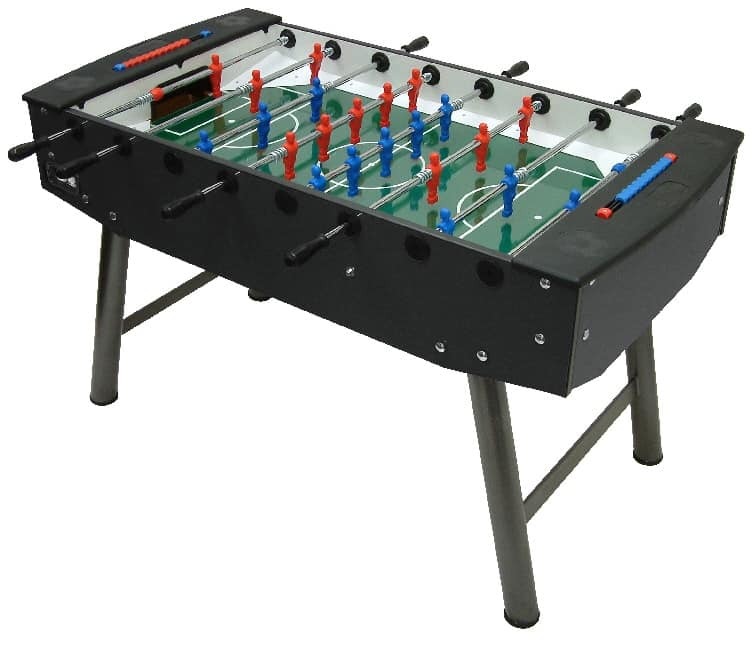 Stylish & practical full-size table for adult use. 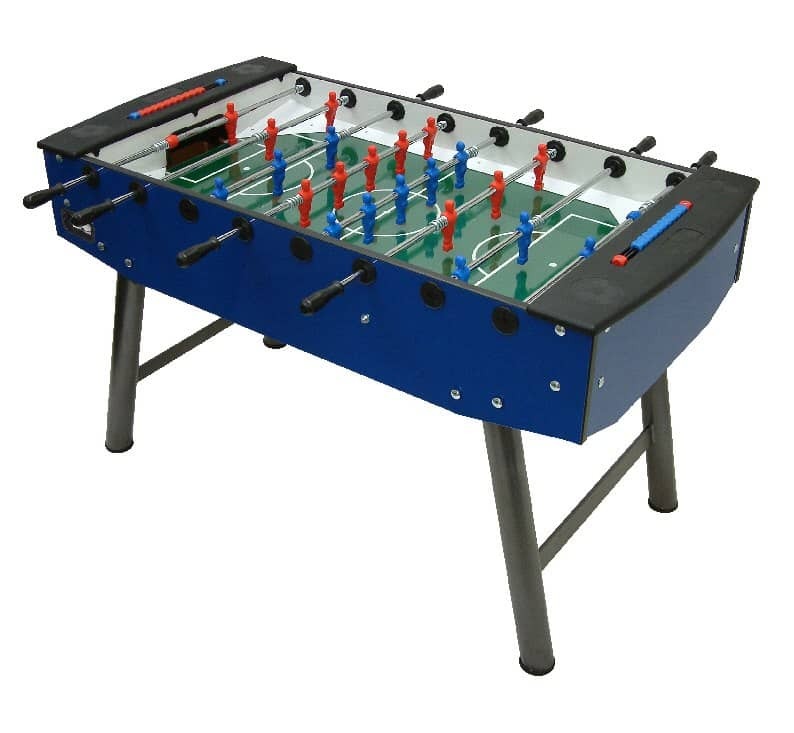 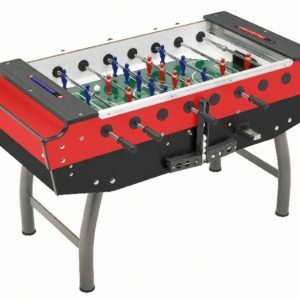 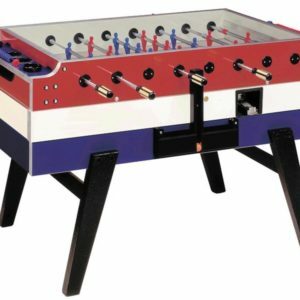 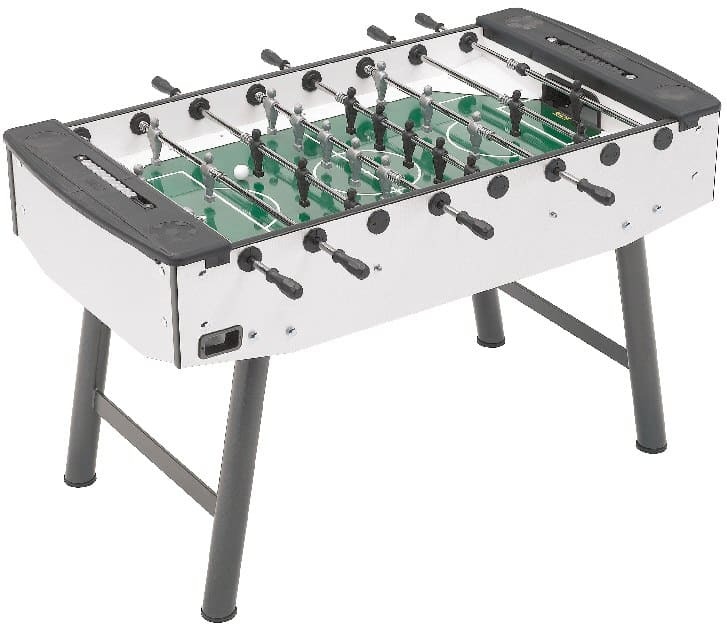 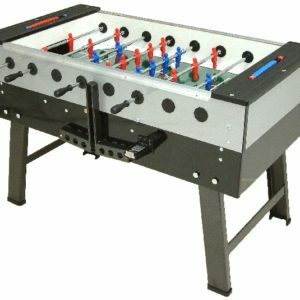 Easily detachable legs, indestructible polyurethane plastic handles & players, glass playing surface & anti-rust chrome effect steel telescopic poles. 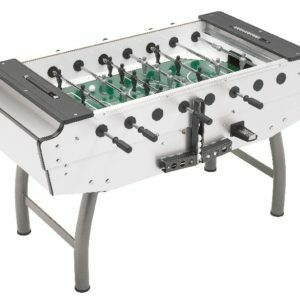 Top quality Italian manufacturing by FAS.